Awareness days, it appears, seem to come around literally on a daily basis (‘scuse the pun). I discovered, to my amusement, that there is even a dedicated website to them where you can find out what’s coming next. This month alone has seen the International Day of Happiness, World Oral Health Day, National Butchers Week, and my particular favourite, National Bed Month. Though celebrating this may have to wait as Hazel’s nocturnal adventures have put paid to any hope of even a single night’s sleep, let alone a month! So tomorrow, 21 March, is World Down Syndrome Day. Just another one, you may say. Raising awareness of a condition or syndrome in order to help the people who live with it can only be positive. And I am honoured to be able to add my voice to the thousands of others who will shout, cheer, and sport their stripy, spotty, psychedelic socks – literally letting their feet do the talking. Shouting as loud as we can that an extra chromosome is not to be feared. It is to be accepted, included, loved and cherished. It is life changing, of course. We wouldn’t deny that. We won’t pretend there aren’t challenges. Heartaches and difficulties. Why else would we need an awareness day if not? But that is life whether we like it or not. We want the world to know that having Down’s syndrome is life changing, but almost always for the better! We want to celebrate the truth about our children, brothers, sisters, aunts, uncles, friends who happen to have an extra chromosome. We want to celebrate our humanity. Yet as we celebrate, we know that there are those who actively want to raise awareness of the condition in another way. Their awareness campaign is also positive. It’s more softly spoken than ours, more gentle and maybe more appealing. It promises to bring comfort, reduce anxiety, and relieve stress. Good, good, good! It says it can offer affordable and reliable help. Oh this is good too. This is what women/couples need. Choice. Yes, absolutely. Choice is good. This awareness campaign has a number of different names. Some rather clinical like NIPT (Non Invasive Prenatal Testing) or the more pleasant sounding ‘Harmony’ test. Suggesting something melodious, easy on the ear and an overwhelmingly positive experience for the participant. So why am I also concerned about this other awareness campaign? Well, it’s back to that word ‘choice’. The advocates for this campaign, this test, tell us that it’s all about choice. Choice for the woman/and her husband or partner as to whether or not they continue with their pregnancy. Choice is a good thing, they say. They are right. However, choice is also a word that is often then forced down the throat of anyone who dares to suggest this test is not helpful – in it’s current form. And yet, never has the word choice meant so little to these people. It’s a choice that has been boxed in, pinned down and tied to the railings of fear and outdated information. It’s no choice. It’s bordering on a lie. And, in the vast majority of UK hospitals and clinics, this is the choice that is offered. An uninformed and misguided one. Instead, information about Down’s syndrome is largely handed out in a very negative and fearful way. Even the test itself plays on the fears of the pregnant woman by telling her it can accurately identify this most feared of conditions. It tells her that Down’s is something to be afraid of, very afraid. That’s not choice, that’s scaremongering. That’s fear. That’s not fair – to anyone, especially not the parents. So allow me to change the word, if you will. But let’s do this quietly, without anyone really noticing. Ssshhhh. Don’t tell. A synonym to ‘choice’ is ‘possibility’. Such positive word isn’t it? And that’s why we celebrate World Down Syndrome Day, each and every year. The possibility that a person who has Down’s syndrome can bring so much to our lives. The possibility that we will find more joy than we ever thought imaginable by bringing them into our lives and watching them thrive. The possibility that having an extra chromosome may not be the end of the world, as we have been led to believe. The possibility that our lives can even change for the better because of Down’s syndrome. The possibility that people with Down’s syndrome can and do thrive, enjoy life, contribute to society and have as much right to a life as you or I. The possibility that our common humanity is crying out for us to welcome people with disabilities, not try and eradicate them. Wouldn’t it be so much better if women were offered possibilities rather than choice? Choice limits. Possibilities widen. Possibly, maybe, we can make a change. One word at a time. Ssshhh. Earlier post “A Test” now with pictures….. 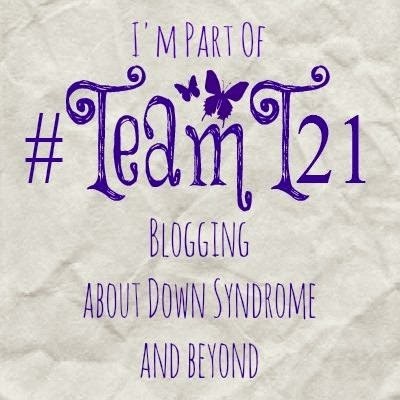 Categories: Abortion, Acceptance, Down Syndrome, Down's Syndrome, Joy, Prenatal Testing, Trisomy 21, Uncategorized | Tags: #dontscreenusout, #downsyndrome, #Harmony, #MyFriendsMyCommunity, #NIPT, #Team 21, #Trisomy21, #WDSD16 | Permalink. This made me cry. Thank you. Your little girl is beautiful. I am going to share this with my four children, aged 17-21. They need to see this, as this perspective is not given. Ah thank you, this is such an encouragement to me! Thank you so much for taking the time to read and comment.